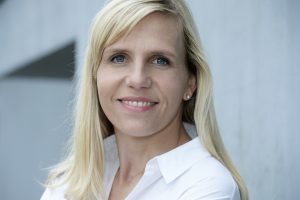 Tina Stridde is the Managing Director of the “Aid by Trade Foundation” which is the umbrella organization of the “Cotton made in Africa Initiative”. She joined the Supervisory Board of the WFC in October 2017. Tina Stridde holds a diploma in business economics with a major in marketing communication. She studied in Pforzheim, Paris und Charlotte (USA). After her exam she worked in the department of strategic planning of an international network of agencies. In 2000, Tina joined the Otto Group and advisor of the textiles departments in matters of marketing and customer relations followed by assignments in product management and marketing in several multi-channels companies of the Otto Group. Prior to joining the Aid by Trade Foundation 2008, Tina Stridde was responsible for sustainable products and sustainability communication within the Otto Group’s environmental and social policy department. Since 2008 Tina heads the Aid by Trade Foundation and its Cotton made in Africa Initiative. Cotton made in Africa strives to better the living conditions of 800.000 smallholder cotton farmers in Africa through efficient and environmentally friendly growing methods, integrating trade into its development strategies. Tina Stridde’s focal points are sustainable consumption and global value chains.